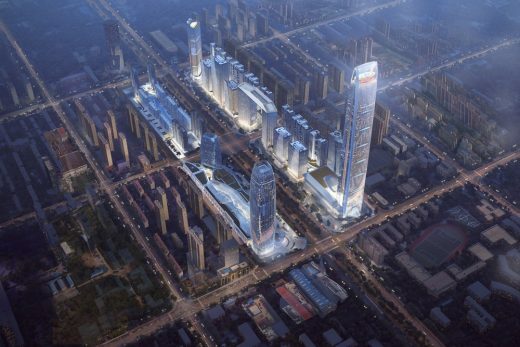 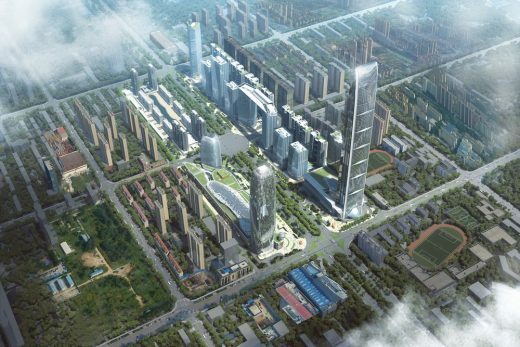 Tianshan Gate of the World is a large-scale urban mixed-use project in the new city centre of Shijiazhuang. 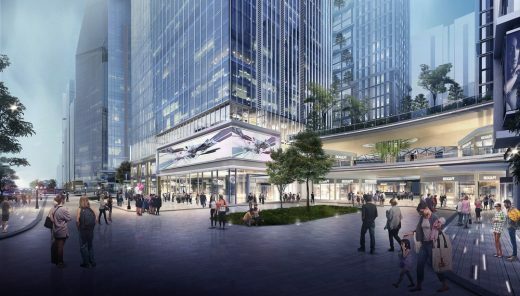 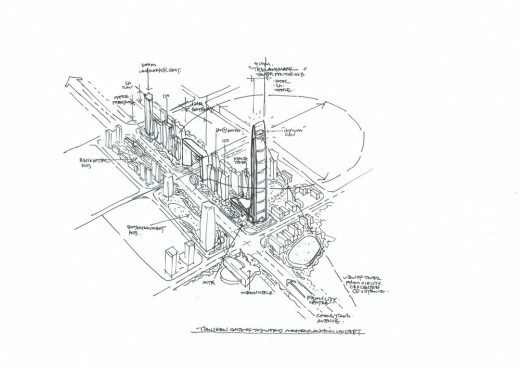 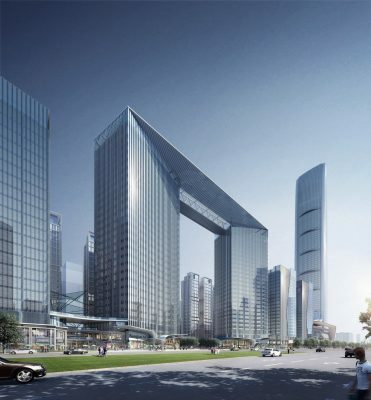 Plots 27 and 28 feature a 450-metre tall International Finance Center with a commercial amenity podium, a 150-metre medical tower, eight 100-metre serviced apartment towers, eight 100-200 metres tall Grade-A office towers and a central 600-metre long retail street. 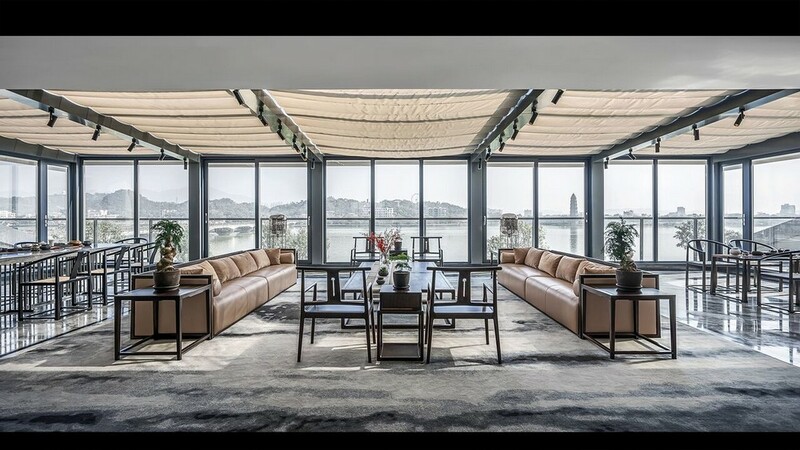 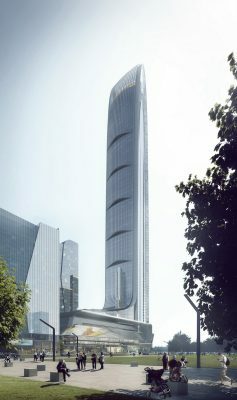 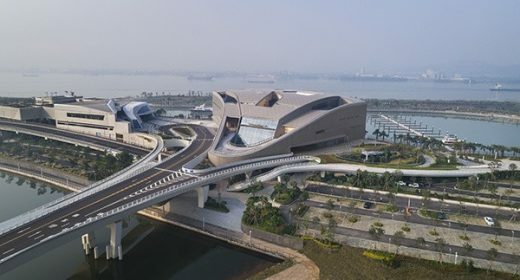 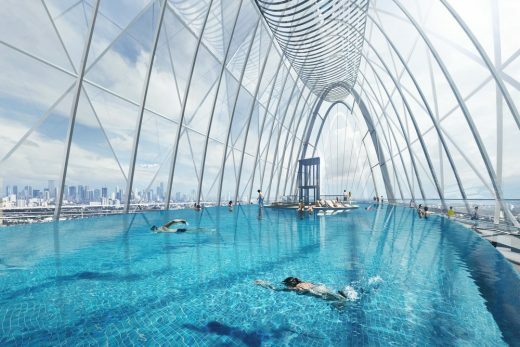 The 450-metre skyscraper offers Grade-A offices, entrepreneur serviced apartments, five-star hotel, restaurants, a featured sky club with infinity edge pool at top and an observatory spiral flying deck at the top of the tower. 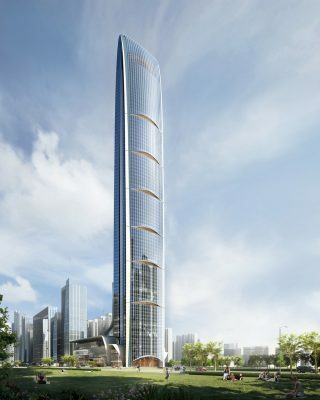 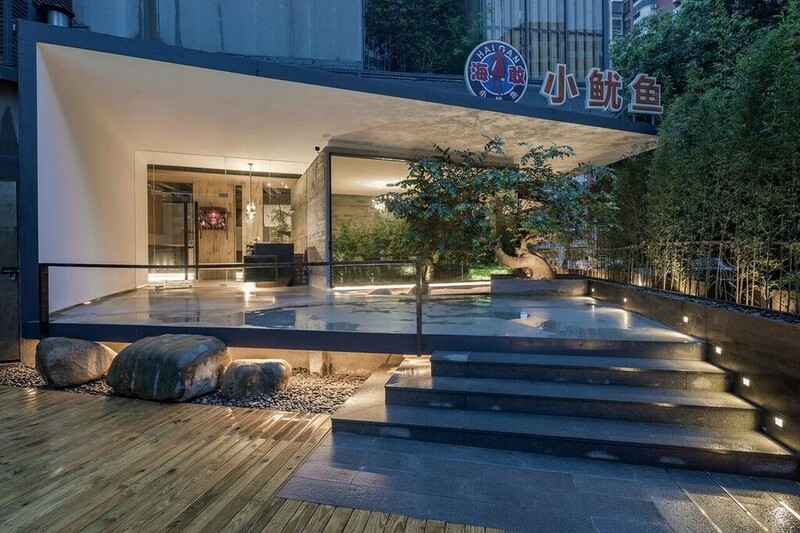 The design of the tower is inspired by the core spirit of Chinese philosophy: the harmonious spirit of the Unity of Heaven and Man. 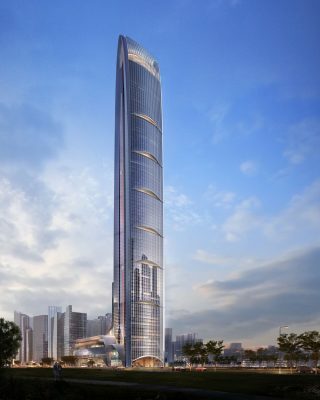 The appearance of the tower reflects the curvy form of Chinese zither and Chinese sleeves dance, expressing the rhythmic beauty of the flow of strings and long dancing sleeves. 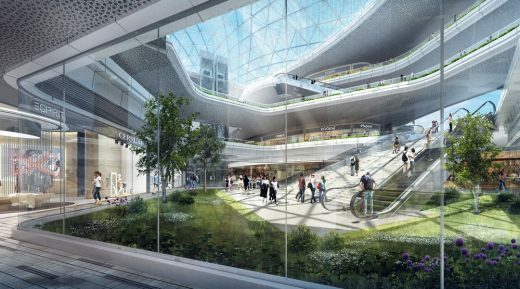 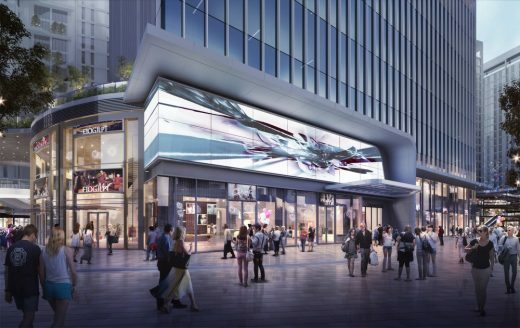 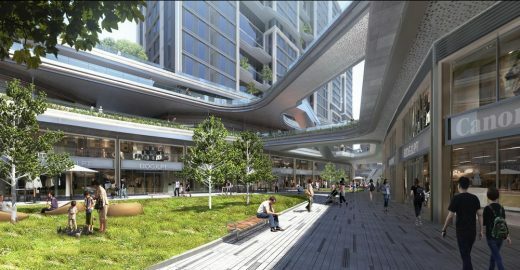 The four-storey commercial amenity podium consists of high-end retail, a well-being centre, an ice-world entertainment destination and the super entry lobby which serves as an ‘urban living room’ to the district. 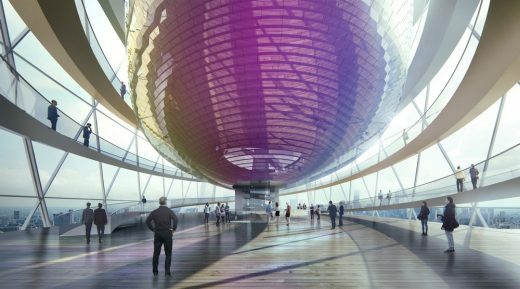 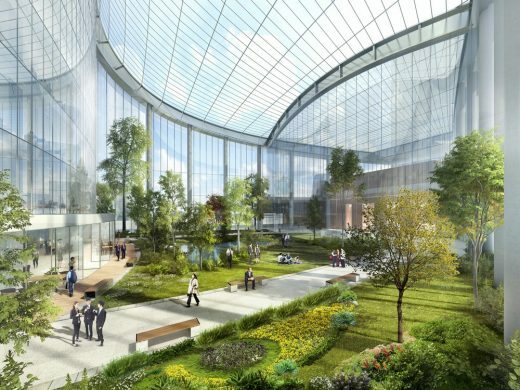 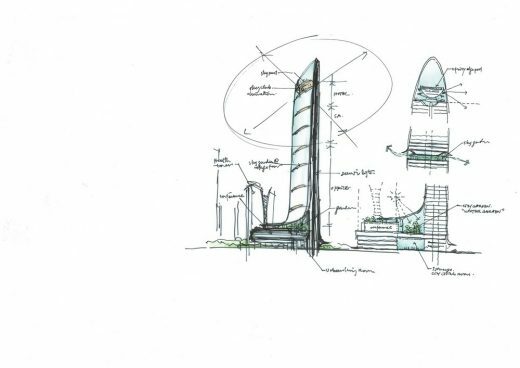 Integrating with the tower form, a conference centre with indoor four-seasons greenhouse garden is created on top of the podium, whilst six sky gardens with food and beverage amenities on different heights of the tower offer unique vertical urban spaces to the city.